The Hirshhorn Museum’s ARTLAB+ program gets local DC teens involved in art. 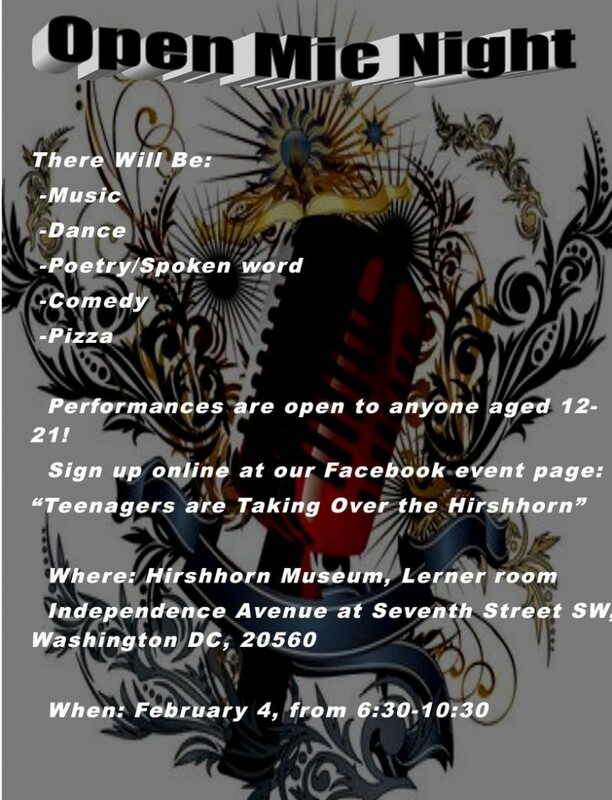 For their event tomorrow, “Teenagers Are Taking Over The Hirshhorn,” they directly used Facebook to promote the event and invite participants. See their Facebook invite. So far, they have 73 attending, 134 maybe attending, and 464 fans who are awaiting. thanks for giving opportunity to participate in mic night!